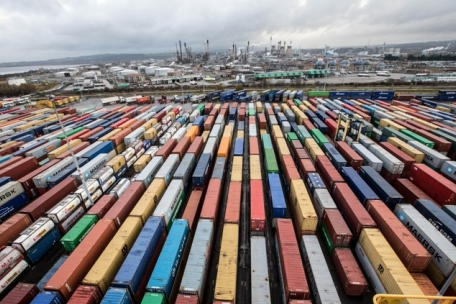 Forth Ports Limited said on Wednesday that Arcus European Infrastructure Fund 1 LP agreed to sell its shares in the company to the Public Sector Pension Investment Board (PSP Investments), one of Canada’s largest pension investment managers. “After financial completion, PSP Investments will partner with other long-term investors who are well aligned to support the future growth of Forth Ports,” said Forth Ports. Forth Ports said it owns and operates eight commercial ports on the Firth of Forth, the Firth of Tay and the River Thames, with “strategic positions” in Tilbury (London), Grangemouth, Dundee, Rosyth and Leith. PSP Investments has C$153 billion of net assets as of March 31, 2018. It manages a diversified global portfolio composed of investments in public financial markets, private equity, real estate, infrastructure, natural resources and private debt. Established in 1999, PSP Investments manages net contributions to the pension funds of Canada’s federal Public Service, the Canadian Forces, the Royal Canadian Mounted Police and the Reserve Force. Headquartered in Ottawa, PSP Investments has its principal business office in Montréal and offices in New York and London. “This is a landmark transaction for PSP to increase our stake in a strategically located, top-tier infrastructure asset in the UK,” said Patrick Samson, managing director and head of infrastructure investments, PSP Investments. “Since PSP’s original investment seven years ago, Forth Ports’ world-class management team has led the company through consistent high performance and growth. “We are now entering the next phase of our journey together, which includes a specific plan to enhance our asset management responsibilities. Forth Ports CEO Charles Hammond said: “This is an exciting time for Forth Ports as we continue to deliver our ambitious expansion and investment programme around the UK. “Our colleagues at PSP are already long-term, committed shareholders and this new investment ensures continuity for the business as we evolve to meet the customer demands of the future. “I want to personally thank Stuart Gray, Simon Gray and all the team at Arcus for their constant support, insight and strategic guidance over the past seven years.